Mmmmm...coffee. We aren't only wind powered here at UE, we are coffee powered! We start every day with a big pot of fresh brewed coffee. Nothing fancy, just decent quality grounds drip brewed with cream and sugar. That is why we are delighted to support this entrepreneur! Loan Use: Purchase pergamino coffee and mantequilla coffee. 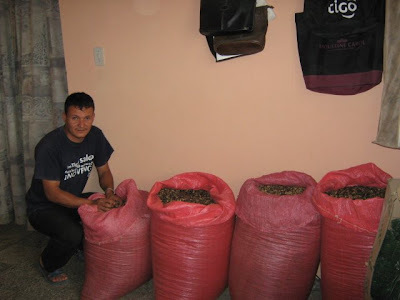 "Mr. José de los Santos Duarte Colindres has been harvesting and selling two types of coffee for more than 10 years, and during this time he has acquired much experience and good clients. This way he is moving ahead with his business and is successful in offering well-being to his family. He is married with a 4 year-old daughter who attends a local kindergarten. With the income from his business he covers the family expenses and his financial obligations. He requests a loan as he needs work capital, to diversify his business, buy more products, and meet his clients' demands and thus increase his earnings."